Intro: Did you know that everyone is entitled to a funeral in their parish church regardless of whether they attended church or not, or alternatively to have the parish priest take a service at the crematorium. A funeral is an opportunity for family and friends to come together and express their grief, celebrate and remember a life and to commend the person in God’s keeping. There is a plan and structure to a Christian service that begins with the deceased on earth and remembering their earthly life, before acknowledging the grief and sorrow of those left behind, before finally looking to heaven and the eternal resting place of those we love. Although there is a service structure, we are always keen to talk to the family about how we can make the funeral service personal and unique so that it reflects the person that has died. Options could include music, readings, prayers, someone speaking about their memories of the deceased, symbolic actions such as inviting people to laying individual flowers on the coffin or collections for charities. 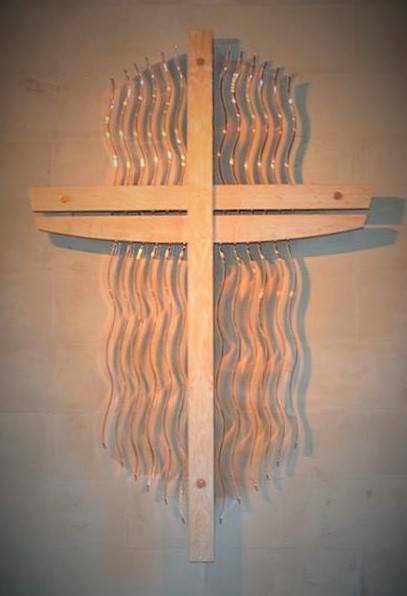 Not everyone who dies is in old age having lead a long and full life, as a church we hope that we can offer something special to those whose loved one has died in difficult circumstances; through illness, accident, tragedy or suicide. The process: When you visit the Funeral Director to plan the funeral you should be given the option of whether you would like a church or crematorium service and also whether you would like a priest or a civil celebrant. Even if the person did not attend church regularly or at all, it is still worth considering whether a church or crematorium service led by a priest would be appropriate. The clergy here at Manor Parish will take time to listen to what you are looking for in a service and how you want to remember your loved one and be as flexible as they can in accommodating your needs. If you do opt for a priest to take the service, the parish will be informed and a date and time for the service will be agreed. The priest will then arrange to come and see you to discuss the service, listen and support you as you grieve and, if they don’t know the deceased, to find out more about them to help them speak about them during the service. The Funeral Director will discuss fees as part of the whole funeral package, but for information the church’s fees are listed here. A couple of useful websites that gives you information on the sorts of things to consider when someone dies e.g. how to register the death, who to inform etc. are Gov.uk and LightBright. The Church of England website gives you more information about the actual service. At the service the priest will be there to not only lead the service but offer support if appropriate and along with the Funeral Director will guide you through the service. After the day of the funeral service, the day by day work of adjusting to the loss of your loved one continues and a team from Churches Together offers a drop in Bereavement Support Group and annually we hold a special memorial service to remember those have died in the past year and in the years/decades gone by. What next? If you would like to have either a church funeral or have one of the clergy of Manor Parish take a crematorium service please talk to your Funeral Director who will be able to contact us and make the arrangements.